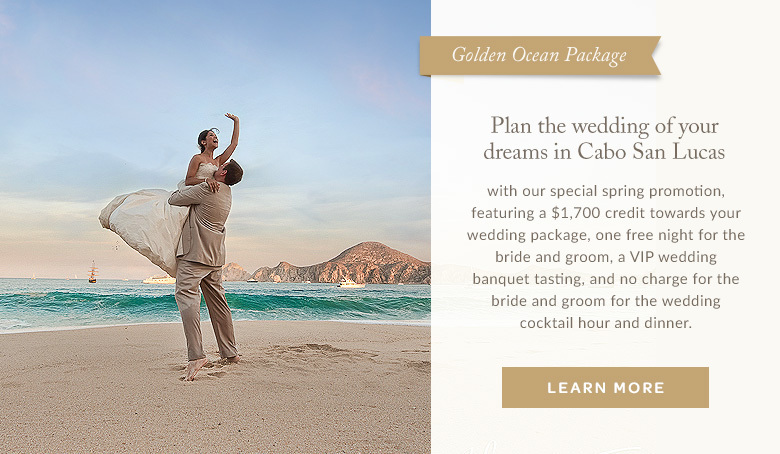 Say, "I do," in Cabo San Lucas with our exclusive spring promotion, featuring $1,700 in credit towards our Golden Ocean Package. 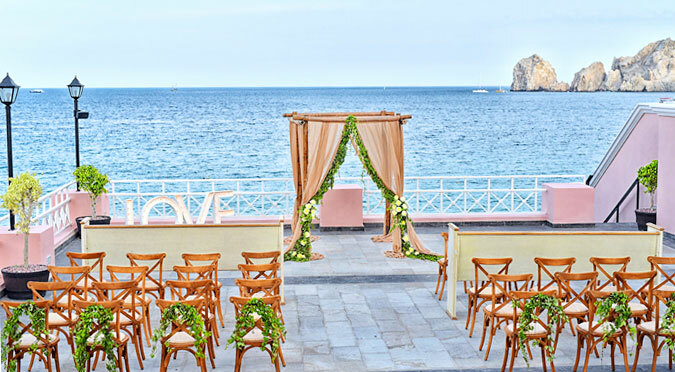 Pueblo Bonito Rosé Resort & Spa offers a wonderful array of beautiful sites to host your Cabo San Lucas wedding ceremony and reception. Our prime beachfront location is perfect for intimate beach weddings with toes in the sand. Or, choose one of our elegant outdoor terraces or garden areas with views of Land's End in the background.